Thanos, the infamous Titan and Avengers: Infinity War villain, is making his limited-time debut on Fortnite. The free ‘Infinity Gauntlet Limited Time Mashup’ mode goes live today, May 8, 2018. The temporary mode operates the same as Fortnite‘s standard battle royale mode, but it comes with the addition of an Infinity Gauntlet spawning on the map. 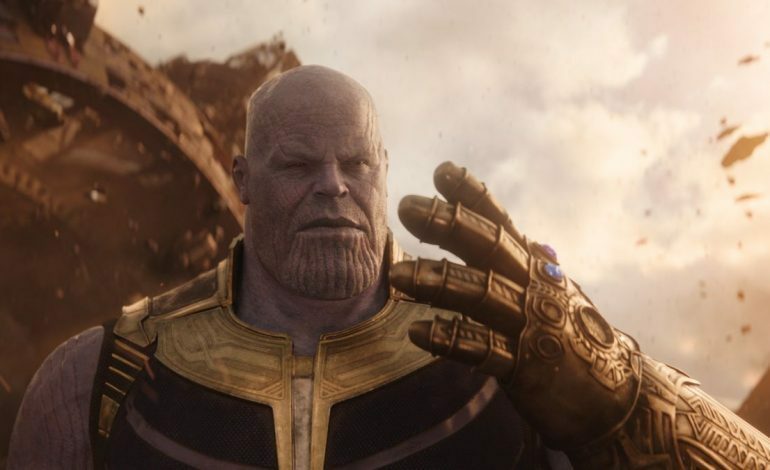 Whoever finds the Gauntlet will take on the form and powers of Thanos himself, though presumably players won’t be granted all the powers of the actual Infinity Gauntlet. After all, control over the entirety of space, time, power, reality, mind and soul is a bit much. The powers that Fortnite players can gain by finding an in-game Gauntlet have not yet been revealed—it looks like players may have to find the Gauntlet to find out. Infinity War’s directors, Joe and Anthony Russo, are self-professed Fortnite fans; the pair broke news of the crossover in an interview with EW. “Over the past few months, while we were editing Infinity War, we’d take breaks to hop on and get in a few games. And then we started thinking, how cool would it be to have some kind of Avengers–Fortnite mashup?” Joe Russo told EW. From there, collaboration between the Russos and Epic Games’ creative director Donald Mustard gave way to the new Infinity Gauntlet mashup mode. Fortnite‘s ‘Infinity Gauntlet’ mode will be available across all platforms, including Xbox One, PlayStation 4, PC, and Mac.